Mayoor School considers its teaching staff the most invaluable resource. Regular staff enrichment programmes are initiated by the school and teachers are encouraged to attend workshops and seminars whenever they are held by acclaimed and accredited educational institutions. Our teachers are engaged in constant updating of general awareness and specific skills in relation to the academic and educational spheres. This results in enhanced efficiency of transaction of the curriculum and in fostering love of learning and development of critical thinking faculties among students, both cornerstones of a mature intellect. 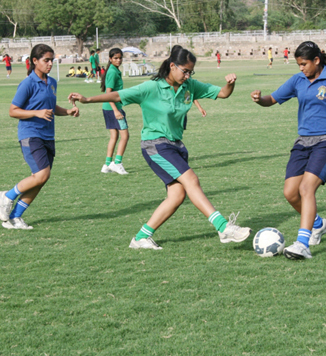 To promote a cohesive and amicable work culture, a retreat for the Mayoor School, Ajmer staff is organised every year. The retreat is not just a break from the regular work and responsibilities at school; it is a period of leisure combined with a wonderful opportunity to nourish and reinvigorate the bonds with co-workers. Staff retreat is a chance to grow stronger as a team borne out of mutual trust and better understanding, contemplation and purposeful conversation, sharing and caring and bridging of gaps between individuals. At the heart of the retreat are activities that focus on team building and development, introspection, collaboration and mutual support. The school organizes staff retreats in the month of March. The staff members are split in two groups; the first group goes for the retreat in the first week of March and the second group in the third week of March. The retreat is organised at popular destinations across India.